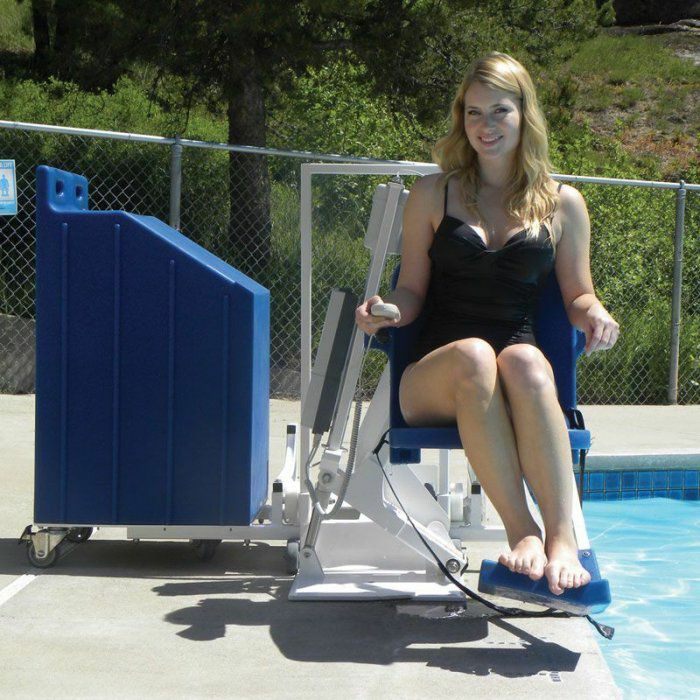 The ADA Portable Pool lift is the only completely portable aquatic lift independently verified to meet ADA guidelines. 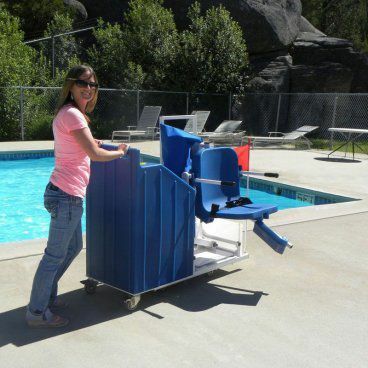 This lift is capable of lifting 375lbs and remains the highest weight capacity portable lift on the market. 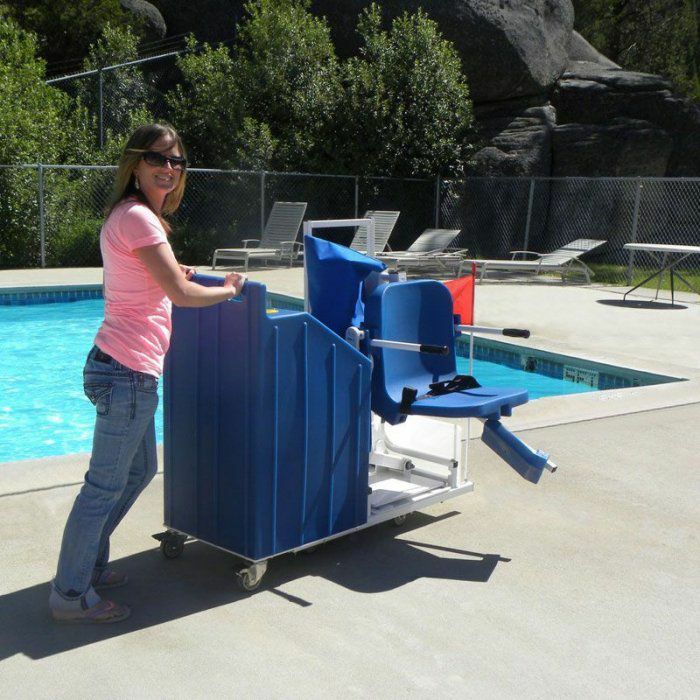 When deployed and ready for use, the lift features a specifically designed seat allowing for the easiest lateral transfer from most wheelchairs, giving full freedom of access to the individual. This lift is counter-weighted using a sand ballast system. The included FIXING KIT secures the lift in place, allowing for FULL ADA COMPLIANCE. 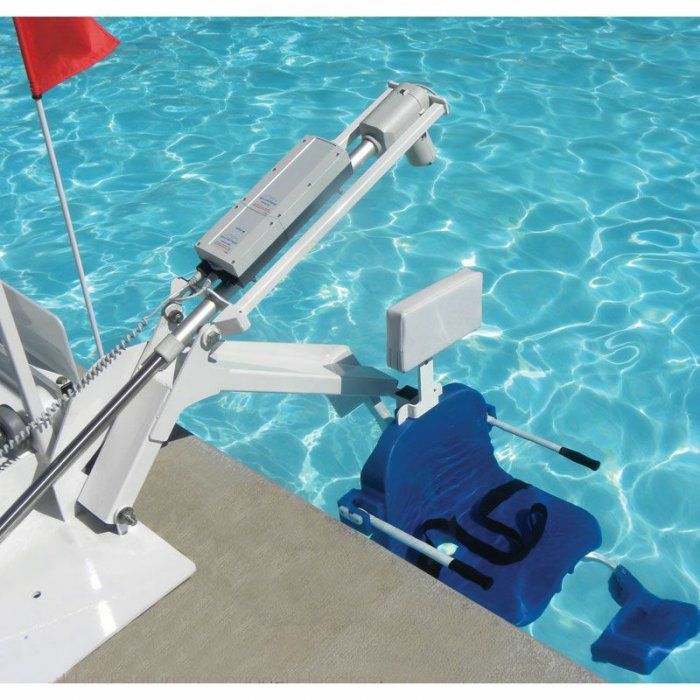 The battery operated pool lift features stainless steel construction and powder coat finish to ensure corrosion resistance and durability. Easily add one of the pool lifts for disabled or aging guests to make your facility welcoming to all guests, without construction, saving money and time.